Premium Protection — Kaspersky Internet Security 2012 is undoubtedly an award-winning internet security solution that delivers innovative Hybrid Protection to keep you safe from today’s complex, ever-evolving threats. 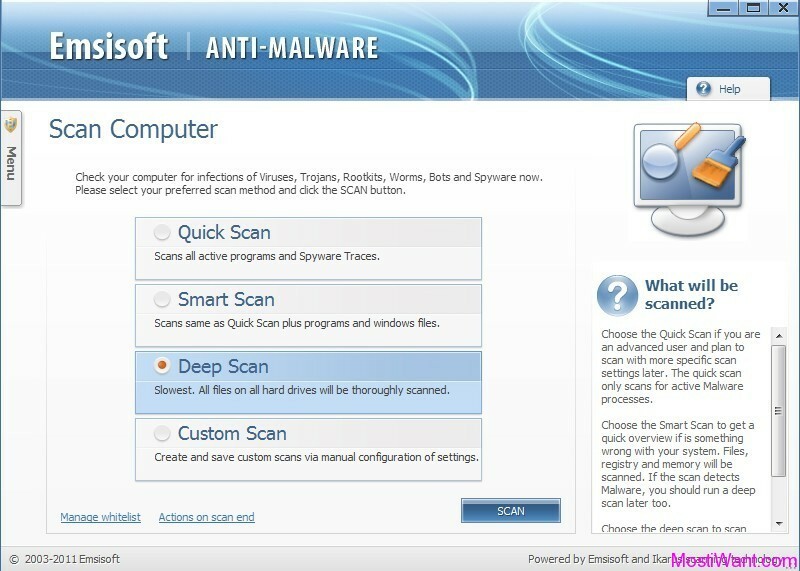 It combines Kaspersky lab’s leading antivirus software to provide strong protection against viruses and additional layers of defense to fight against various digital threats while you’re surfing the web, including a new generation personal Firewall, a Proactive Defense component offering protection from unknown threats, a Privacy Control component providing protection from Internet fraud, and an Anti-Spam component which filters out unsolicited emails. Whether you’re banking, shopping, or social networking online, you can have complete confidence that your account details are secure, you won’t stumble onto dangerous websites, and you’ll only receive safe messages from your friends. You’re free to enjoy the Internet to its full potential. 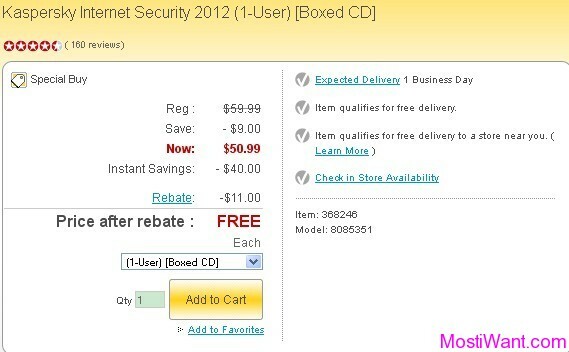 Staples.com offers Kaspersky Internet Security 2012 (1-User) [Boxed CD], for just $10.99. And you can also receive $11.00 Rebate Visa Prepaid Card, which cuts the price to $0. 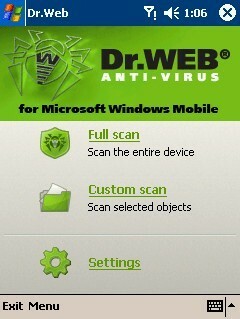 Get Kaspersky Internet Security 2012 for free from here. Staples delivers to street addresses (not P.O. Boxes or APO/FPO) in the continental US only. You have to purchase the product between 07/22/12 and 07/28/12. Requests MUST be submitted online or postmarked within 60 days from date of purchase. Updated: The old mail-in rebate offer (I shared on Jul 6, 2012) on NewEgg.com has expired. But I find another new valid offer. I updated the post and change the date published for this post to make it up. Where is the activation code of this “Most I Want” promotion?